The Predator is an iconic movie monster, but it wasn't always that way. 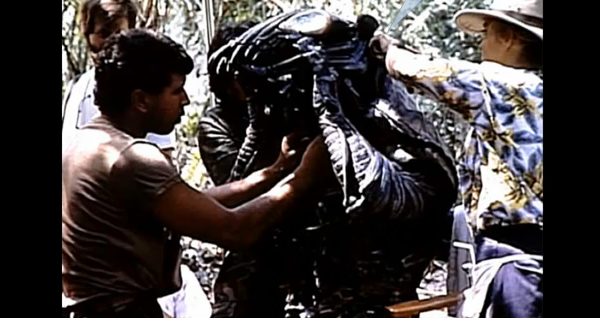 Few fans have seen the original Predator design, which was scrapped shortly after the movie started production, and re-designed by Stan Winston. Fewer still have heard the story of how Jean-Claude Van Damme got involved and ultimately left the movie. Now this short documentary tells how JCDV and the Predator parted ways. What do you think of the video? What do you think of the original Predator? The design was cool, but the suit - not so much. (Funny where the guy hits the head on a tree.) It looked more like something from a bad 60's horror film. Not The Creeping Terror bad, but not good.